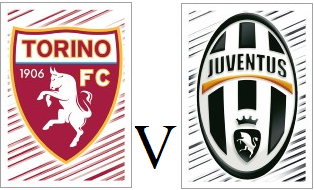 Torino will look to make it into the last 16 of the Coppa Italia when they face Serie B side Pisa on Tuesday evening. Sinisa Mihajlovic has named a strong squad, but he may take this opportunity to rotate his squad and use fringe players such as Cesare Bovo, Afriyie Acquah and Josef Martinez. Pisa, who are coached by former AC Milan midfielder Gennaro Gattuso, are currently 15th in Serie B but have only scored seven goals in sixteen league games. Torino made it three successive league wins with a hard-fought 2-1 victory against Chievo on Saturday evening. The Granata made a bright start and Andrea Belotti and Adem Ljajic both had half chances to open the scoring. Ten minutes before half time, Antonio Barreca's excellent cross found Iago Falque unmarked at the far post and the Spaniard headed past Stefano Sorrentino to give Toro the lead. Torino doubled their lead three minutes later and it was that man Falque who curled an exquisite left footed shot into the top corner. Toro were given a fright in the closing stages when Roberto Inglese headed home Valter Birsa's corner with only five minutes remaining. However, Chievo's chances of salvaging a draw were damaged when Fabrizio Cacciatore was sent off for dissent in the final minute. Davide Zappacosta should have added a third goal with the last kick of the game, but he shot wide with Adem Ljajic and Andrea Belotti well placed. 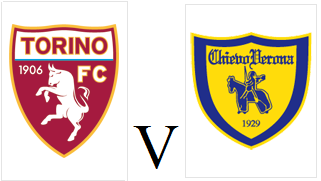 Torino will look for a third consecutive victory when they host Chievo at the Stadio Grande Torino on Saturday evening. Top scorer and talisman Andrea Belotti has recovered from a bout of flu and should be fit to start, whilst Lorenzo De Silvestri is expected to replace Davide Zappacosta at right back. Chievo are on a poor run of form, and have only won one of their last six fixtures, a 1-0 victory over Cagliari last time out. Andrea Belotti proved his importance to Torino once again as the Italian international scored two late goals to give Toro all three points at Crotone. There was only one enforced change for the Granata, as Emiliano Moretti replaced Antonio Barreca at left back with the youngster suffering from flu. It was the home side who had the first chance as Andrea Barberis tried his luck from long range, but he was denied by a good save from Joe Hart. The England international was forced into action again, as his poor pass presented the ball to Marcello Trotta, but Hart made amends to deny the former Brentford striker. Toro were dominating possession in the second half, but were struggling to create clear cut chances, so Sinisa Mihajlovic brought on strikers Josef Martinez and Lucas Boyé in an attempt to find a winner. With ten minutes remaining, Adem Ljajic's through ball found Andrea Belotti who calmly finished past Alex Cordaz - although replays did show the former Palermo man was narrowly offside. In the final minute, Belotti eased any Toro nerves by firing home a fine left footed strike after excellent work from Boyé to seal all three points. 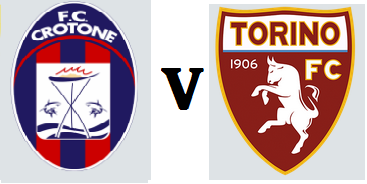 Torino will hope to improve upon their disappointing away form when they travel to bottom club Crotone on Sunday afternoon. Toro have only won one game away from home this season, a 4-1 victory over Palermo in October and will be without left back Antonio Barreca for this fixture, as the youngster is suffering from flu. In their debut Serie A season, Crotone have only won one game following their surprise promotion - a 2-0 victory over Chievo three weeks ago. Torino produced another excellent home performance as they thrashed Cagliari 5-1 at Stadio Grande Torino on Saturday evening. As expected, Leandro Castan and Iago Falque returned to the Toro starting eleven, and it only took two minutes for the Granata to take the lead. Andrea Belotti's initial shot was parried by Marco Storari, but the Italian international reacted first to smash into the back of the net. Toro doubled their lead less than ten minutes later as Adem Ljajic scored with a shot from outside the area which wrong-footed Storari. Marco Benassi added a third goal for Toro as the captain fired a shot into the top corner from a difficult angle. However, four minutes before half time, Federico Melchiorri gave the away side a lifeline as he headed home a left wing cross past Joe Hart, and the England international may be disappointed not to have kept it out. 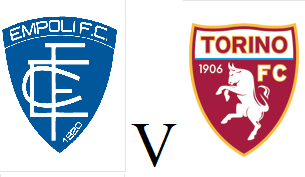 However, Toro re-established their three goal lead just five minutes into the second half as Daniele Baselli smashed home a fourth following Ljajic's cut back. Torino were awarded a penalty on the hour mark when Panagiotis Tachtsidis (who is on loan from Toro) tripped Andrea Belotti in the area. Cagliari midfielder Daniele Dessena was sent off for protesting that decision, but that did not deter Belotti who managed to convert his first penalty of the season - despite Storari getting a hand to it. This was Toro's second 5-1 victory of the season, and only Roma have bettered their tally of 27 goals so far this campaign. 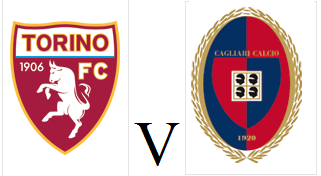 After a run of three games without a win, Torino host Cagliari on Saturday evening in search of three points. Leandro Castan has returned to the squad following injury and should come into the starting eleven, as should Iago Falque who played no part against Udinese on Monday. Davide Zappacosta and Mirko Valdifiori both suffered injuries in that game, but have been included in the squad so could feature. Since gaining promotion last season, Cagliari have adjusted well to life in the top flight and are currently level on points with Torino in 9th place. Despite winning four of their last six fixtures, Cagliari have only won one of their five away games this season, a shock 2-1 victory over Inter at the San Siro. Torino came from behind to earn a point in Udine on Monday night thanks to Adem Ljajic's fine individual goal. As expected, Marco Benassi and Daniele Baselli came back into the midfield but Lucas Boyé was a surprise starter in place of Iago Falque. Toro took the lead after fifteen minutes when Andrea Belotti played a perfect through ball to Marco Benassi and the former Inter midfielder finished well when one on one against Orestis Karnezis. The Granata could have doubled their lead before half time, but this time Karnezis was able to deny Andrea Belotti who was through on goal. Torino were made to pay for that missed chance on the hour mark when Cyril Thereau headed home a right wing cross to bring the home side level. Udinese then managed to take the lead ten minutes later when Toro failed to clear a corner, and Duvan Zapata managed to score from one yard out. However Adem Ljajic produced another contender in what seems to be his own goal of the season competition as the Serbian winger jinked past the Udinese defence before curling a left footed shot into the bottom corner. Toro were unable to find a winning goal in the closing stages, and a draw was probably the fair result, but the away side were left to rue not making the most of their first half dominance. After suffering defeat in mid-week, Torino will try to get back to winning ways when they travel to Udinese on Monday evening. Sinisa Mihajlovic was disappointed in the performance at the San Siro so multiple changes are expected, Daniele Baselli and Marco Benassi should both come into the midfield, whilst Lucas Boyè could also feature. Udinese have won their last two fixtures against relegation candidates Pescara and Palermo but Toro have good memories of this stadium - as they won 5-1 back in April. Torino fell to a first defeat since mid-September after Mauro Icardi's late goal was enough for Inter to claim all three points. 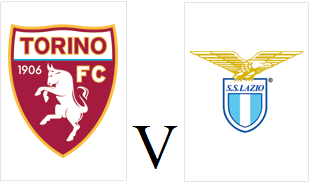 Sinisa Mihajlovic made three changes from the side who rescued a point late on against Lazio as Emiliano Moretti replaced the injured Leandro Castan and midfielders Afriyie Acquah and Joel Obi both came into the starting eleven. Portuguese midfielder João Mário had the first chance of the match for the home side but his long range effort whistled past the post. Ten minutes before half time Inter took the lead and it will be one which Toro goalkeeper Joe Hart would like to forget. It looked as though the England international would intercept Antonio Candreva's over hit through ball, but the former Manchester City man failed to claim the ball cleanly and it ricocheted off Mauro Icardi's trailing leg and into the net. Mihajlovic was not pleased with Toro's first half display and bought on Maxi Lopez for Iago Falque and changed the formation to 4-3-1-2. Joe Hart made amends for his earlier error by making a good save to deny Marcelo Brozović, and moments later the Granata were level. Hart's goal kick somehow made its way to Andrea Belotti, and thanks to some comical defending from Cristian Ansaldi and Jeison Murillo, the Italian international was able to fire a powerful left footed shot past Samir Handanović. Inter should have taken the lead almost immediately after the restart, but Brozović somehow managed to miss a free header from only three yards out, whilst Candreva and Icardi also missed good chances. However, with only two minutes remaining, Icardi received the ball with his back to goal before turning Luca Rossettini and unleashing a fierce shot into the corner of Joe Hart's net to give Frank De Boer's side a much needed victory. Torino will be looking to increase the pressure on Inter coach Frank De Boer when they travel to the San Siro on Wednesday evening. Toro will be without Leandro Castan so Emiliano Moretti or Cesare Bovo could deputise, whilst Afriyie Acquah could also come into the starting eleven. Inter coach Frank De Boer could be sacked should the home side fail to beat Toro, as the Milan club have lost four of their last five games - and the one victory was an extremely fortuitous one against Southampton in the Europa League. Torino have an impressive recent record at the San Siro against Inter, winning on their previous two visits. Torino secured their first away win of the season as they recovered from conceding an early goal to beat Palermo 4-1 on Monday night. The Granata made two changes from the team who beat Fiorentina before the international break as Adem Ljajic was preferred to Lucas Boyé on the left wing, and Daniele Baselli came in for Afriyie Acquah. Toro made a bright start but were behind after only five minutes when Ivaylo Chochev headed home Alessandro Diamanti's excellent cross. However the away side equalised twenty minutes later when Iago Falque found Adem Ljajic in space, and the Serbian winger fired a shot into the top corner from just outside the area. That goal meant gave the former Fiorentina man confidence, and he gave Torino the lead with another outstanding finish, this time from just inside the area as he curled the ball into the far corner. On the stroke of half time, Toro added a third goal after good work from Mirko Valdifiori and Daniele Baselli allowed captain Marco Benassi to fire home. 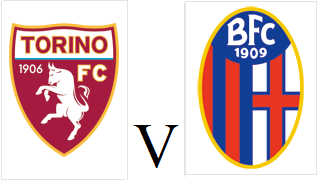 Five minutes into the second half, Torino added a fourth goal to end the game as a contest when Iago Falque's cross found Daniele Baselli whose mis-kick crawled over the line. Toro's intensity levels dropped towards the end of the second half which enabled the home side to have a few good chances, but even a late floodlight failure could not deny Toro a third consecutive victory. 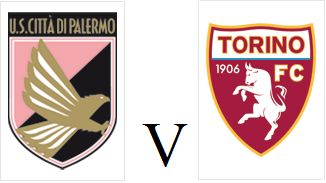 Torino will look to make it three wins in a row when they travel to Sicily to face Palermo on Monday evening. The Granata will be without the injured Lorenzo De Silvestri and Giuseppe Vives but Serbian winger Adem Ljajic is now fully fit. Andrea Belotti is in excellent form and scored his first goal for Italy in Macedonia last week, and will be looking to continue that form against his former team. Palermo have improved in recent weeks following the appointment of former Foggia coach Roberto De Zerbi, but have lost all three games at home this season. Torino continued their recent form with an impressive 2-1 victory over Fiorentina on Sunday evening. Sinisa Mihajlovic made only two changes from the side who beat Roma last weekend with Davide Zappacosta and Afriyie Acquah coming in to replace the injured Lorenzo De Silvestri and Joel Obi. Just as they had seven days previously, Toro started well and Andrea Belotti came close early on when his header hit the side netting. The Granata were ahead after just fifteen minutes when Iago Falque won the ball and then drove at the Viola defence before finishing with a lovely left footed finish past Ciprian Tătărușanu. Nikola Kalinic had the best chance of the first half for Fiorentina, but his free header was straight at Joe Hart who was able to turn it away for a corner. Toro doubled their lead on the hour mark when Falque turned provider when his exquisite pass found captain Marco Benassi who turned and finished well. Joe Hart made another good save to deny Borja Valero, but the England international could do nothing to prevent Khouma Babacar from getting a goal back with ten minutes remaining, as the Senegalese striker lost Luca Rossettini before heading home. Substitute Josef Martinez could have added a third for Toro but he was denied by Tătărușanu, but in the end it didn't matter as Torino held on for all three points. Torino captain Kamil Glik has left the club to join French side Monaco on a four year deal for an initial fee of €11 million. Glik joined Toro from Palermo five years ago and the committed central defender has enjoyed a number of memorable moments wearing the Granata shirt. The Polish international was part of the squad who gained promotion to Serie A in the 2011/12 season. In the following campaign, despite receiving red cards in both fixtures against Juventus, his committed performances endeared him to the Torino supporters. After the departure of Rolando Bianchi, Glik became Toro's first non-Italian captain since 1960 and under his leadership the Granata finished 7th in the league and qualified for Europe. The 2014-2015 season was arguably Glik's best with the club as he scored eight goals whilst also contributing defensively to memorable victories against Athletic Bilbao and Juventus. Glik struggled to find his best form for Toro in the last season, but that could certainly be said for a number of Torino players, as the club endured an inconsistent campaign. However, Glik was one of Poland's best performers at Euro 2016, and helped his country to the the quarter finals before being eliminated on penalties by Portgual. This move will give Glik a chance to play in the Champions League, although Monaco will have to progress through the qualifying rounds in order to reach the group stages. Glik has posted a farewell message to the Toro fans on the official website which can be found here. Torino have officially announced that veteran coach Giampiero Ventura has left the club, and has been replaced by former AC Milan tactician Siniša Mihajlović. In his five year spell at the club, Ventura oversaw a number of memorable moments including promotion, a European adventure and a long awaited derby victory over Juventus. However, despite a promising start, last season was a disappointing one for the Granata, as Toro could only manage a 12th placed finish. Therefore, with Ventura heavily linked with replacing Antonio Conte as Italy coach, his contract has been terminated by mutual consent. Toro president Urbano Cairo has acted quickly to replace Ventura, with Siniša Mihajlović agreeing a two year deal to become the new coach. Mihajlović was rather harshly sacked as AC Milan coach in April, and has previously been in charge of Sampdoria, Fiorentina and Catania. 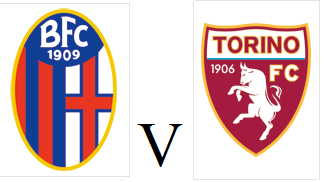 As if customary at the end of each season, I invited Toro fan and author Peter Bourne to review what has been a disappointing season from the Granata. Just six clean sheets all season (not entirely his fault) highlights the unexpected decline of the Toro back line. Remains a liability from free-kicks and the exceptional Padelli save is a rare sight. Thankfully his foot work has marginally improved. 2016-2017 : Contract runs down in 2017, likelihood his position will be pushed more closely next season, possibly by the returning Alfred Gomis. Had his chance to oust Padelli indefinitely when Ventura dropped his No 1 after a home defeat against Empoli. Unconvincing displays against Frosinone, Sassuolo and Fiorentina and in his three-game Coppa Italia run out have yet to convince the club that the Uruguayan is the future. 2016-2017 : Perhaps a loan to Spain may be on the cards. Unlikely to be promoted to No 1 next season. Following a monumental 2014-15 season, this was a fall from grace although not as disastrous as most people have pointed out. No goals following eight crucial strikes last year had an impact on results but it was Glik’s defending which regressed, noticeably a lack of concentration and a tendency to get drawn into needless fouls (ten yellow cards). 2016-2017 : Had seemed likely to leave last summer. The club may now seek to cash in on the captain. After 171 appearances, he will be missed for his commitment and instrumental role in the team’s revival. Has been a credit to the club. Destination England or Germany. Technically the best centre-back at the club and a player of great potential. A metatarsal injury sustained on international duty ruled him out for three months and on his return he struggled in a porous defence to to find any consistency. 2016-2017 : Would be foolish to sell Glik and Maksimovic (don’t rule it out) during the same summer. Makismovic’s value has taken a dent this year and the club may seek to rebuild his market value next year. More likely to stay than Glik. Especially now his mentor Sinisa Mihajlovic is being lined up as Ventura’s replacement. 17 Serie A appearances in two years is a disappointing return for the young Uruguayan. By the end of this campaign, there were small shoots of progress. Playing out of position as a left wing-back does him no favours but as a left-sided centre half has a future. Just needs to oust the evergreen Emiliano Moretti. 2016-2017 : May depend on the identity of coach and his formation. Is likely to stay and push Moretti closer for a starting birth. It will be his last call. For Jansson read Silva. 16 appearances in two years. While Moretti is in front of Silva, Jansson is understudy to Glik. The Swede has suffered from playing a bit part role. Is powerful and commanding but positional play and mobility issues remain unanswered. His goal in Udine was the most Kamil Glik moment of the season. Good enough to replace Glik? Doubtful. 2016-2017 : Handed a Euro 2016 call-up which was slightly surprising. He will be an interested observer of departures and arrivals but may trigger a desire for more first team football. First choice cover at centre-back, injuries bolstered his appearance column. Probably as consistent as any Toro defender. The free-kick specialist who never scores free-kicks managed a belting goal in the Turin derby and a crucial winner in Bergamo. Looked less composed towards the season’s close. 2016-2017 : Just one season left on his deal, unlikely to be anything more than back-up next year. Mr Consistent, only one game skipped through injury, just four yellow cards and an Italy debut at the age of 34. Appeared infected by the defensive malaise by the spring. Still a calm, assured presence but not getting any younger. 2016-2017 : In a three-man defence will probably start next year as a regular. In a two-man defence, unlikely to be mobile enough. Left back, a position the club just can’t get right. Avelar was supposed to fill the berth in 2015-16. 195 minutes into the season a busted knee ruled him out until the New Year. Until then he had looked impressive, at least in the final third. On his return he looked unfit and unreliable and further knee trouble ruled him out for the season. 2016-2017 : Providing he returns to fitness, is definitely worth a second chance. Molinaro is Molinaro. An honest enough professional who alternates between steady performances, the odd skillful run and then the brain fart in the final third. Guilty of poor game management (two red cards for quick-fire second bookings) and too many reckless penalty area interventions. That said, his goal at the San Siro worthy of respect. 2016-2017 : Contract runs down in a year. As back-up he may stay, but if Molinaro starts next year as first choice left-back we are in trouble. Signed for next to nothing, he’s probably a 10-15 million euro asset. Credit to Petrachi for that. Defensively a liability and gives the ball a way in an industrial quantity, but going forward, in a team short of midfield creativity, is the key asset. Dynamic, unpredictable, commits defenders. Not as stellar as his breakthrough year, but still one of the better performers. And like Matteo Darmian a year earlier, was often forced to play out on the left. 2016-2017: Feeling is he sees himself at a Champions League club.Toro need to guard against selling all the crown jewels but personally I’d be surprised if Peres is still in granata next autumn. I remember reading an interview with Zappacosta in his Atalanta days when he professed to being a juventino. When Toro signed him I had a few doubts about how he would settle. They remain. In his defence, Ventura rarely afforded him a consistent run of 90 minutes. In the final third he has the pace and trickery to cause defensive issues. On the other hand, his crossing is abysmal and has a tendency to get caught in possession. 2016-2017 : The theory is that this was his adaption season before he replaces Bruno Peres full-time. Still remains a theory. There’s a lot to like about Alessandro Gazzi. He’s hard working, reliable and gets on with it. However, he is no longer good enough for a team with aspirations of the top eight. This year seemed to mark a decline and a continued reliance on annoying tactical fouls. 2016-2017 : Looked set to move to Serie B last summer and despite having a year left on his contract, seems destined to move on. At 35, the Senator is still knocking out 30 plus league appearances. For the fifth season in a row. 160 appearances now in total. There’s an argument to be said the club have failed miserably in finding an upgrade yet Vives remains one of few players capable of playing a constructive long ball and his influence on the team is crucial. 2016-2017 : One year left on his deal and every chance he’ll feature next season as the only player still on the books from the promotion campaign. One would expect he’d make fewer than 30 appearances. 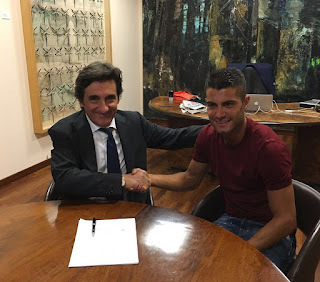 His season finished in the 67th minute against Palermo in late September. Injured, he hobbled off and missed a month. A week later Toro lost to Carpi when presented with the chance to go top of the league. Until then Baselli had delivered four goals and was arguably the best player in the league. On his return, he was an inconsistent and often anonymous. Would love to see him in a more advanced role. Doubts whether Ventura coached the skill out of him. 2016-2017 : Needs a summer off and faces a key season. We will see the Baselli who bossed midfield last autumn, or the pale cousin who featured for most of the season ? The club acted swiftly to buy out his contract from Inter after a season of highs and lows, but largely positive. This season the one high was the stellar goal against Palermo. Has goals in him but his decision making is erratic and has a tendency to fade in games. Still bags of potential. 2016-2017 : Likely to be a key asset in midfield next season. After two seasons of finding his feet, he’ll need to assume more responsibility. A player I really strive to like. Looked set to introduce welcome energy and verve to a stale midfield. Has provided bursts of this but too many feeble performances characterised by agricultural technique and some of the worst delivery from wide areas you’ll ever see. Needs to improve. 2016-2017 : Under a long contract and a potentially a key asset in certain type of matches but needs a coach to hone some of the raw elements in his game. Lost four months of the season through injury. Never got going in the autumn. A wild tackle (so late it could have been made in 1974) in what seems to have been a defining match against Palermo, cost him a lengthy ban too. In the spring, looked hesitant when called upon until some commanding displays (notably in Rome) which suggested a technically gifted player capable of carrying the ball. 2016-2017 : Hopefully free of injuries in 2016-17 as looks to have the skill set missing in the squad. After two steady seasons, the Swede missed most of this one through a cruciate injury. Managed just five appearances over 90 minutes. Didn’t looked fit in any of them. 2016-2017 : Out of contract and will definitely be free to move on. Some good memories especially in the Europa League qualification campaign. Finally a steady run of games once the season had nothing to offer. A fine display in Udine (when the home side failed to show up) shouldn’t mask a disappointing campaign. At times unlucky, other times imprecise, but generally unreliable in front of goal. Probably should have spent the season out on loan. 2016-2017 : Unlikely to be anything better than fourth choice again next year. Perhaps a season as a first choice in Serie B may not be a bad thing? Returned surprisingly and to much fanfare following the acrimonious demise of Fabio Quagliarella. Ciro was probably too eager to please. Arrived at a time when Andrea Belotti exploded, which resulted in the ex-Borussia man being pushed wider than he’d like. Created a good partnership with Belotti, provided a few exceptional performances and then limped out of the season during the Turin derby. Still has a tendency to run down dark allies with his head down. 2016-2017 : The club should do everything to sign him and form a lasting partnership with Belotti. My feeling is they’ll try and renegotiate the price and somebody else (Lazio, Napoli) may swoop in. The one breakout player this season despite scoring just once before Christmas. The arrival of Immobile coincided with Belotti finding confidence. Never stops working defenders and extremely adept at finding space in the six yard box. At 22, still raw but displays great calm from the penalty spot. 2016-2017 : Will start next season as a first choice. A wasted season from the continued public saga with his ex-wife to issues about his lifestyle and weight. If the rumours are true he weighed over 100 kilos some four months into the season then serious questions need to be raised. The third best striker on the books yet Toro are always a better team when he plays. Holds the ball up intelligently and when in the mood is a quality target man. 2016-2017 : Despite signing an extension to his contact, unlikely to be part of the squad given the way the final months of the season panned out. A mention to…. Fabio Quagliarella sold to Sampdoria after 18 bizarre months where he refused to celebrate a single goal against any of his many former clubs including the first derby winner in 20 years. The debacle at Napoli and his perceived joking with Juventus players during the 4-0 Coppa Italia defeat signalled his departure. Third choice keeper Luca Castellazzi never featured and now retires. Ukranian Vasyl Primya was offloaded to Frosinone after ten minutes of first team action. 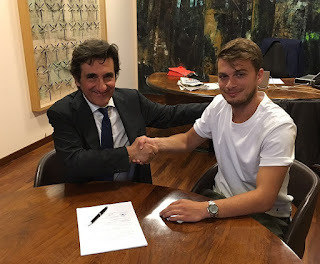 Sanjin Prcic looked timid following his arrival from Rennes but has done well enough on loan at Perugia. Amauri’s inglorious time at the club ended during the winter transfer window and given five minutes of action Simone Edera is first member of the title winning youth team to play for the first team. Too little. After three positive seasons (promotion, Europa League qualification, the Europa League campaign), one so-so season (Serie A survival, albeit with an average squad), this season was undoubtedly Ventura’s worst. Is locked into a 3-5-2 formation which everyone has figured out and has shown very little tactical flexibility or evolution. Whatever the situation, he almost never sacrifices one of his three centre-backs. Too many matches were approached in a passive way, against the bigger clubs too often Toro start beaten or in awe of their opponents, and the level of football (considering the investment made) was the worst we’ve seen. An over-reliance on the counter-attack or inspiration from Bruno Peres. Ventura has done a great job, but this year’s he has given the impression of going through the motions. Time to move on Ace. Destination Azzurri. 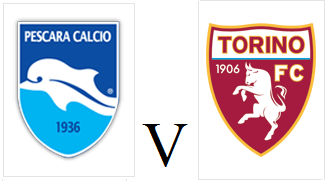 Torino ended the season in disappointing fashion as they fell to a 2-1 defeat to Empoli on Sunday evening. Kamil Glik, Emiliano Moretti and Joel Obi all returned for Toro who still had hopes of finishing in the top ten. However those hopes were dashed after only twelve minutes when Massimo Maccarone gave the home side the lead with a fierce strike from just outside the area. Toro dominated the game after that set back, and Davide Zappacosta and Josef Martinez both hit the cross bar with long range efforts. Empoli doubled their lead nine minutes into the second half as Piotr Zielinski capitalised on an error from Bruno Peres to score. However, Toro reduced the deficit two minutes later when Joel Obi headed home Davide Zappacosta's excellent cross. However, the Granata could not find what would have been a deserved equalised, and therefore suffered a seventeenth defeat of what has been a frustrating season. 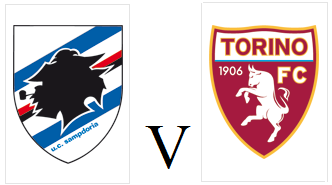 Torino will end what has been a largely disappointing season when they face Empoli in the final game of the season on Sunday evening. Toro will be without Giuseppe Vives and Cesare Bovo who are both suspended, so Kamil Glik and Alessandro Gazzi should come into the team. Elsewhere, Ciro Immobile should start to boost his hopes of getting into the Italy squad ahead of Euro 2016. Empoli have had a decent season and would finish above Toro if they manage to win, however have been dealt a blow by the news that coach Marco Giampaolo will be leaving the club after this game. 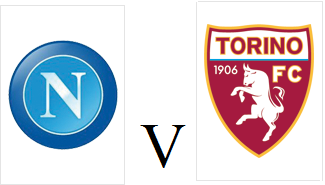 Torino fell to their seventh home defeat of a disappointing season as they were beaten 2-1 by Napoli on Sunday evening. Giampiero Ventura picked the same starting eleven who had thrashed Udinese last weekend, although Ciro Immobile was fit enough for a place on the bench. Napoli took the lead on twelve minutes when Marek Hamsik played in Gonzalo Higuain who finished past Daniele Padelli to score his thirty-third league goal of what has been an excellent campaign for the Argentine. That lead was doubled less than ten minutes later, and Hamsik was once again the provider as his low cross was tapped home by Jose Callejon. Higuian almost added a third before half time, but his curling shot from just outside the box rebounded off the post. After a change in approach at half time, Toro came back into the game in the second half, and pulled a goal back through Bruno Peres whose unconventional finish was enough to deceive Pepe Reina. Ciro Immobile made his return from injury with twelve minutes remaining but Toro were unable to find an equaliser and to cap off a miserable night, Giuseppe Vives was dismissed for a second yellow card in injury time. 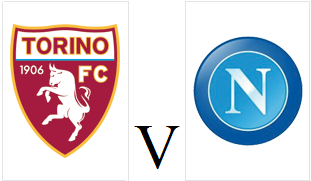 Torino will be looking to end the season on a high note when they face Napoli in their last home game of the campaign on Sunday evening. Pontus Jansson should retain his place in defence following his impressive display at Udinese last weekend, whilst Ciro Immobile has returned to the squad following injury. Napoli are two points ahead of Roma in the race for 2nd place, which would ensure qualification for the group stages of the Champions League - so they will certainly arrive in Turin looking for three points. Torino produced one of their best performances of the season as they thrashed Udinese 5-1 on Saturday evening. Toro started without their first choice centre backs so Cesare Bovo, Pontus Jansson and Gaston Silva all started. The Granata were thankful for a smart save from Daniele Padelli in the early stages, as the Toro keeper reacted quickly to deny Ryder Matos from close range. The home side were made to pay for that early miss, as moments later Torino took the lead when Gaston Silva's corner was headed home by Pontus Jansson. Toro doubled their lead on the stroke of half time as Udinese failed to clear their lines, and were punished by Afriyie Acquah who pounced on the loose ball before smashing it into the top corner. Udinese reduced the arrears with only two minutes gone in the second half as Bruno Fernandes crossed for Felipe, who looped his header beyond Padelli. However, Toro re-established their two goal lead three minutes later when Josef Martinez showed outstanding composure to run clear, cut back on his left foot, and finish beyond Orestis Karnezis. Torino added a fourth on the counter attack when Andrea Belotti ran from inside his own area before finishing well beyond Karnezis from a difficult angle. With less than ten minutes remaining, Martinez capitilised on a mistake from the Udinese defence to score his second of the game to cap a remarkable performance from the Granata. 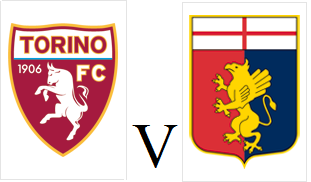 After two successive defeats, Torino will look to end the season on a high when they travel to Udine on Saturday evening. Toro will be without Joel Obi who was injured in the warm up last weekend against Sassuolo, whilst Maxi Lopez could be available to start after featuring in the closing stages of that match. The home side probably need one more win to guarantee their Serie A status, and have been impressive at home recently - beating Napoli and Fiorentina in the past month. The party atmosphere at the newly renamed Stadio Olimpico Grande Torino was ruined by visitors Sassuolo who ran out 3-1 winners on Sunday afternoon. Joel Obi, who was so impressive in the narrow defeat at Roma, was injured in the warm up so Afriyie Acquah started in his place. The away side took the lead with only two minutes on the clock when Alfred Duncan's cross was headed home by Nicola Sansone. However, Toro were level just five minutes later after a swift counter attack that was started by Daniele Baselli, and finished by Bruno Peres - who has now scored in consecutive home games. Torino should have gone into the break in the lead, but Josef Martinez hit the bar when one on one with Andrea Consigli. Andrea Belotti had Toro's best chance of the second half, but he blazed over the bar after good work from his strike partner Martinez. And the Granata were made to pay for that miss when Domenico Berardi's corner was headed home by former Juve defender Federico Peluso with fifteen minutes remaining. Sassuolo made the scoreline even more convincing with the last kick of the game, as former Fulham striker Marcello Trotta broke clear before finishing past Daniele Padelli. 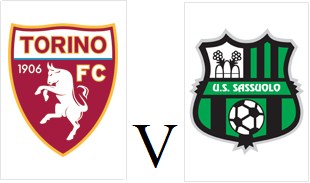 Torino will look to rebound after their late defeat against Roma when they face Sassuolo at the newly renamed Stadio Olimpico Grande Torino on Sunday afternoon. After an online petition by Toro supporters, the local council have agreed to honour Torino's greatest ever team by renaming the stadium after the side who tragically died in the Superga air crash. Toro will be without the injured Nikola Maksimovic so Cesare Bovo should return, whilst youngster Simone Edera keeps his place in the squad. Sassuolo are currently in 7th place and have enjoyed another good season under coach Eusebio Di Francesco, but have only won one of their last six matches. Torino slipped to a 3-2 defeat against Roma on Wednesday evening, as the home side were thankful for a memorable contribution from captain Francesco Totti. Nikola Maksimovic, Gaston Silva and Alessandro Gazzi all came into the side, whilst Andrea Belotti continued to partner Josef Martinez up front. It was the Venezuelan striker Martinez who had the first chance of the game, as he received Bruno Peres' pass on his chest, flicked the ball past Kostas Manolas, but then blazed his volley high over the bar. Toro were continuing to create chances, and this time it was the inform Andrea Belotti whose long range shot hit the post. Ten minutes before the break, Torino were awarded a penalty when Kostas Manolas was penalised for pulling back Belotti in the area. The former Palermo man sent Wojciech Szczesny the wrong way to give Toro a deserved half time lead. With twenty-five minutes remaining, Kostas Manolas made amends for his earlier error by heading home Diego Perotti's corner to equalise. However, with ten minutes remaining a well worked move by the Granata culminated in Josef Martinez tapping home Bruno Peres' cross - and the former Young Boys striker finally scored his first goal of this season. The home side needed divine intervention, and with five minutes remaining Luciano Spalletti bought on Roma captain Francesco Totti, in what could be his final season with the club. Within twenty-two seconds Roma got the intervention they were looking for, as Totti got the final touch on a Miralem Pjanic free kick to equalise. With the Stadio Olimpico now rocking, the home side side were awarded a controversial penalty moments later, as Nikola Maksimovic was adjudged to have handled Perotti's cross. Francesco Totti stepped up to take the penalty, which narrowly beat Daniele Padelli but remarkably the Roma captain had now had two touches and scored two goals. Giampiero Ventura threw on Primavera product Simone Edera in the dying seconds in search of an equaliser, but it was not to be. 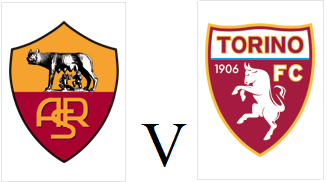 Despite an impressive performance, Toro fell to defeat on a night that belonged to one man - Francesco Totti. 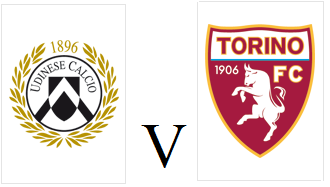 After three successive wins, Torino will travel to Rome on Wednesday evening with renewed confidence. With Maxi Lopez still out with a fever, Giampiero Ventura has called up strikers Simone Edera and Leonardo Candellone from the Primavera side to act as cover for Andrea Belotti and Josef Martinez. Edera has scored eleven goals in twenty-eight games at youth level this season, whilst Candellone has twelve goals in thirty-two matches. 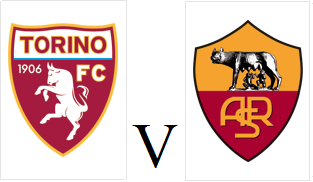 Roma are currently on a twelve match unbeaten run, but have drawn their last two matches which may give the Granata hope of causing an upset. Andrea Belotti's stoppage time penalty was enough for Torino to claim all three points at the Stadio Renato Dell'Ara on Saturday afternoon. Maxi Lopez was not available, so Belotti was partnered in attack by Josef Martinez, whilst Joel Obi retained his place in midfield. It was Martinez who had Toro's first chance of the game, but his low shot from outside the area was well saved by Antonio Mirante. Chances were few and far between in the Bologna sun, but mid-way through the second half, former Juve man Emanuele Giaccherini saw his shot hit the base of the post and roll clear of danger. In injury time, Josef Martinez came close to scoring his long-awaited first goal of the season, but the Venezuelan's shot went wide of the far post. However, the drama was still to come as in the third minute of injury time, Andrea Belotti was tripped in the area by Luca Rossettini and the referee awarded a penalty. Belotti stepped up to take the penalty himself, and he sent Mirante the wrong way to give Toro all three points. Torino clinched their first home win since January after a hard-fought 2-1 victory over Atalanta on Sunday afternoon. Captain Kamil Glik returned to the starting eleven following suspension, whilst Joel Obi was surprisingly preferred to both Marco Benassi and Daniele Baselli in midfield. Atalanta made the better start and Boukary Drame and Mauricio Pinilla both had great chances for the away side to take the lead. However, ten minutes before half time, an exquisite Afriyie Acquah pass found Bruno Peres, and the Brazilian fired the ball into the top corner for his first goal of the season. 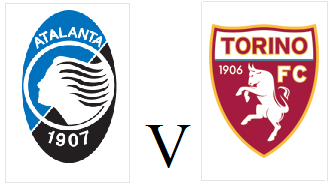 Less than a minute into the second half, Toro doubled their lead when an error from Atalanta defender Guglielmo Stendardo was capitalised on by Maxi Lopez who finished calmly. With less than ten minutes remaining Luca Cigarini's free kick ensured a nervy ending for Toro, but the Granata held on to claim a second successive vctory. 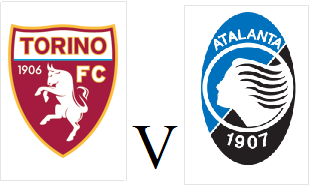 Torino will look to earn their first home victory since January when they face Atalanta on Sunday afternoon. The Granata will be buoyed by their surprise victory over Inter last weekend, and will have captain Kamil Glik available after suspension. Atalanta have won their last two games under former Toro coach Edy Reja, but have only won two away games all season - the last of which was a shock win against Roma in November. Torino finally end their long run without a victory thanks to an impressive 2-1 victory over nine men Inter on Sunday evening. Inter were awarded a controversial penalty after only seventeen minutes when Marcelo Brozovic's shot hit the arm of Emiliano Moretti who had attempted to block the shot. Mauro Icardi stepped up and his powerful effort beat Daniele Padelli from 12 yards to give the home side the lead. Toro were level ten minutes into the 2nd half after excellent hold up play from Maxi Lopez allowed the Argentine to feed Cristian Molinaro who scored a rare goal with his right foot. Moments after that goal Inter were reduced to ten men when defender Miranda was dismissed for a second yellow card. Despite that setback, Inter almost took the lead through Icardi's close range header, but he was denied by an excellent save from Padelli. With less than twenty minutes remaining, Yuto Nagatomo was adjudged to have fouled Andrea Belotti in the area and as the Japanese international was the last man he was also given his marching orders. Belotti stepped up and sent penalty saving expert Samir Handanovic the wrong way to give Toro the lead. The Granata had more chances on the counter attack to extend their lead, with Daniele Baselli coming the closest but his effort hit the post late on. 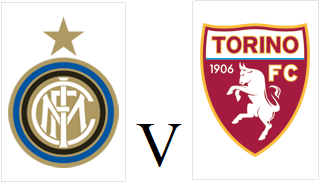 The score remained 2-1 as Toro claimed a much needed victory, and their second successive win against Inter at the San Siro. 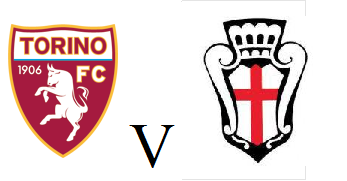 Torino will travel to the San Siro hoping for a repeat of last year's dramatic victory when Emiliano Moretti's scored in injury time. With Toro just five points above the bottom three, the Granata need points quickly to ease any relegation fears. That task will be made more difficult by the fact that Kamil Glik is suspended whilst Afriyie Acquah and Ciro Immobile are both injured. 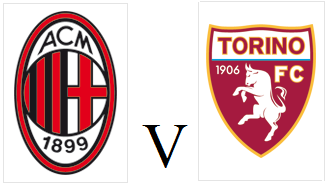 The home side are in good form and have won their last four league games at the San Siro and need points if they are to maintain their challenge for a top 3 finish.